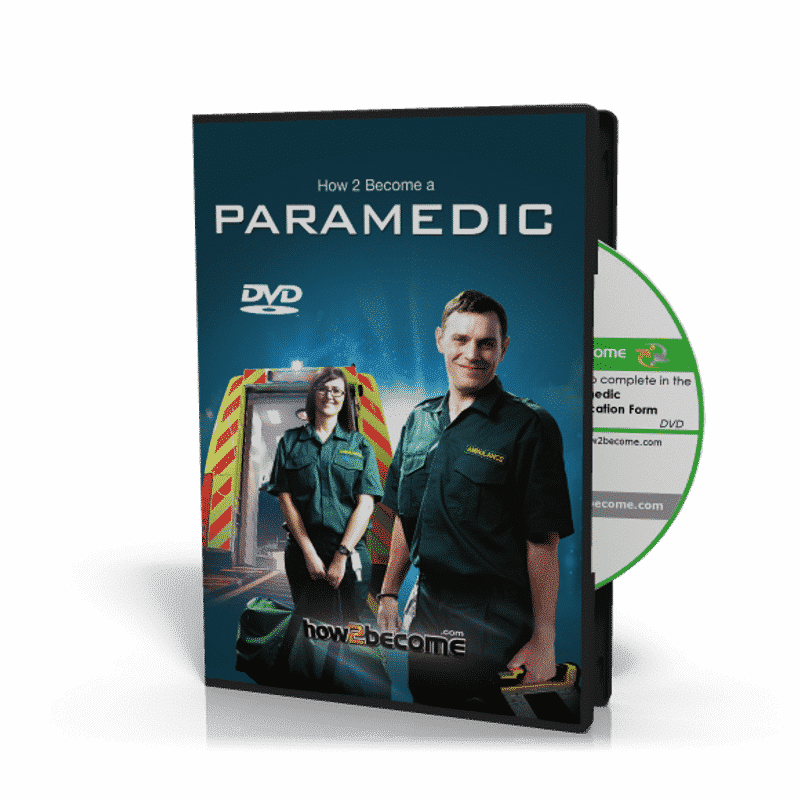 This 60 minute DVD will teach you how to complete the UK Paramedic application form to ensure success. It has been created in conjunction with serving London Ambulance recruitment staff and is applicable to all Ambulance NHS trusts. The application form is the first stage of the selection process and also the stage where the majority of applicants fail. This stage of the selection process is just as important as the rest and it is crucial that you set aside plenty of time to complete it correctly. The application form that you submit may be used at the end of the selection process to further assess candidates, so give it the time and effort it deserves by following the advice and guidance that is contained within this section of your guide. 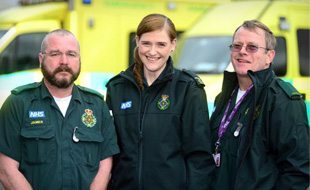 Most application forms can be accessed via the website of the Ambulance Service you are applying to join. If you do not have access to the internet then you can apply for a postal application pack by telephoning the service you wish to apply for. Some Ambulance Services are going over to an electronic version of the application form but the majority still used paper-based forms. Keep a regular check on the website of the trust you are applying to join for recruitment updates. As soon as they advertise vacancies then start working on your application form. Most candidates will submit their form right at the deadline. Whilst your form will usually be assessed at this late stage, some services operate a cut off point for the number of applications they receive so it is advisable to get your form submitted as soon as possible. Once you receive your application form, photocopy it at least twice. It is important that you complete a draft form first as this will allow you to iron out any mistakes. Before you start to complete the form, acquire and read the vision/mission statement and the patient charter of the service you are applying to join. This will give you a full understanding of what the service is trying to achieve. If you structure your responses around this vision/mission statement and the patient charter then your chances of success will increase. Be fully aware of the job description and, again, try to structure your responses to the questions around this. Complete the form in the correct colour ink and by following the guidance notes to the letter. This may sound obvious but if you fail to follow simple instructions then your form will be rejected. Make sure your handwriting is neat and tidy and your grammar, punctuation and spelling are all correct – ask someone to proof read it before you submit it. Before you send off the completed form photocopy it and keep a copy for yourself. It is important that you refer back to the form prior to attending an interview. Consider posting your completed application form by recorded delivery. There have been many cases where forms have become lost in the post. If facilities to submit your application via electronic mail exist then make sure you obtain confirmation that it has been received. You will normally be required to complete the application form in your own handwriting. However, many Ambulance Services now allow you to complete it online; CVs are not generally accepted. This section of the form is relatively straightforward to complete and will consist of you name, your address and your contact details. This section is again simple to complete. 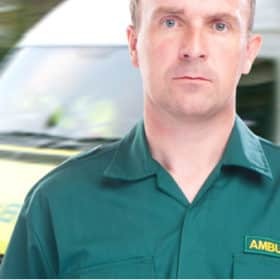 The Ambulance Service will want to know that you have the right to work in the UK and you may be required to produce documentation to prove this at some stage during the selection process. This section allows the service to monitor and ensure that it is receiving applicants from all sections of the community. Again it is relatively simple to complete and is usually based on a ‘tick box’ format. Before completing this section it is important to refer to the guidance notes that should be with your application pack.. Within this section you will normally be required to provide details of your driving licence, the categories you are qualified to drive, and also any relevant driving experience. This section requires you to submit details about your education and qualifications. Manual handling training and courses. Every application form will request details of your employment history and references. It is important to check first with your nominated referees that they give their permission. Most Ambulance Services will not request references until just prior to offering you the position. If there are any gaps in your employment history then you will need to provide details of how you have spent your time. Those applicants who can demonstrate that they have used their time wisely will score higher marks. Examples of using time wisely in between employment include further education, training courses, voluntary or community work or looking after sick relatives. At some point during the application form you will be asked to respond to at least one question that requires you to detail why you are applying for the post and also what you have to offer in terms of experience and personal skills. 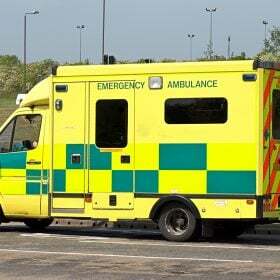 Some Ambulance Services will require you to provide details of your sickness and absence on the form. It is important that you are honest when providing these details, as they will confirm them with you current or recent employer during the reference stage. If you fail to make an adequate response to this type of question you will not be short-listed, so take your time when preparing your response. As stated previously, you must ensure that you read the person specification for the role and give evidence where you have demonstrated these qualities in your work life or personal life. You should provide details of your experience and training to demonstrate why you are suitable for this post. When describing your current or previous work, you should specify your responsibilities, rather than those of your department or team. Address all the criteria on the person specification, showing how you meet these criteria. You should mention experience, skills, achievements and knowledge gained not only in past employment, but also through other activities such as voluntary or community work, experience in the home, and leisure interests. You should, where possible, give examples of specific situations that you have come across and how you have dealt with the situation and the people involved. You should also show how this experience relates to the position you are applying for. Before you respond to this question read the guidance notes that are applicable to your particular form. The following is a sample response to this type of question. Read the response carefully before using a blank sheet of paper to create your own based on your own skills, knowledge and experiences. “I believe I show self-discipline at work each day. I decide where, when, how and the duration I work for, and as part of a uniformed service I take pride in my personal appearance. I realise there will be times during my career when there will be great emotional strain placed on me. I have applied for this post as I am confident that I have the necessary skills and attributes required to become a competent paramedic. Having studied the role in depth, and also the expectations of the service, I believe that the experience and knowledge that I have gained so far will be a valuable asset to the service. I have been particularly attracted to the role because it is predominantly focused on delivering a high standard of care to the community. I have been involved in a number of voluntary community roles in the past and I have found this to be extremely rewarding. I want to work in a role that is both varied, challenging and community focused. 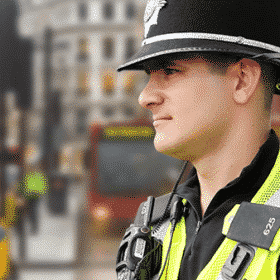 In relation to my experiences and personal skills I have many that are applicable to the role and that I believe the service would benefit from. As a Royal Marines Commando I found myself in many stressful and unusual situations, experienced many cultures and travelled widely. The situations that I have experienced so far would allow me to adapt to the role of a paramedic quickly. I understand that the role includes a requirement to perform under pressure, the ability to work as part of a team and the importance of working to set procedures and policies. I have a large amount of experience in all of these areas. As I have become older I have developed into a more rounded individual, I have utilised all the skills obtained during this time to further my career and personal life. 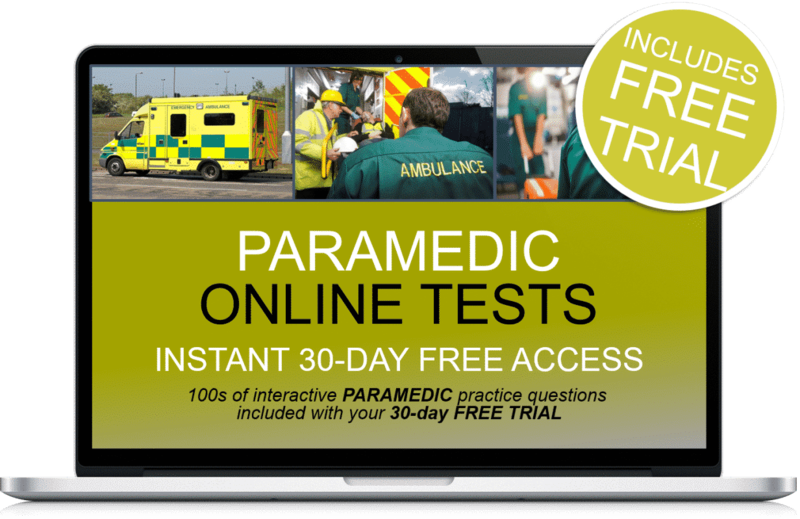 Plus 30-days FREE ACCESS to the Paramedic online testing suite. Thereafter, just £5.95 per month. No minimum term. You may cancel anytime. Cancel before the 30-days are up and you will not be charged. Online suite access on PC, MAC and mobile devices. Plus 30-days FREE ACCESS to the Paramedic online testing suite. Thereafter, just £5.95 per month. No minimum term. You may cancel anytime. Cancel before the 30-days are up and you will not be charged. Sample paramedic application form questions and answers.